Woodward’s Attack on Lancaster’s ‘Extension’ Policy. Sir Clive Woodward has written an interesting article in his Mailonline column (click here for article) today about the 5 Live broadcast ‘Inside Lancaster’s England’ (click here to listen) that was aired on 5 Live on Tuesday evening. Woodward claims that opening up to the media was a ‘mistake’ and something that he would not have (and didn’t) do in his tenure. But is Sir Clive missing some of the more subtle points at stake here. We are more aware nowadays that coaching is a complex environment that requires coaches to act in different ways when faced with different contexts and situations. Times change, the game evolves, the people involved are different (players, staff and fans) and expectations change based on the context. It is rarely the case that one system fits all, all of the time (especially over a 10 year period). I’m sure Sir Clive Woodward understands this in the sense that what worked for England to achieve a fantastic World Cup win in 2003, did not quite work out for the Lions Tour that he headed up in 2005 to New Zealand. Coaching requires us to be aware of context and expectations, understand our players and support staff and in high profile cases, know how to play the media game. I agree with Woodward in that Lancaster lacks experience at this level, but my question is, how do you gain that experience if not in the thick of the role and playing it out every day one day at a time. 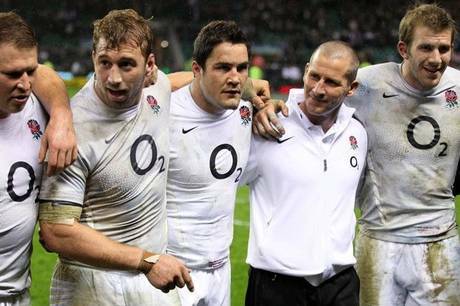 I’m sure that since the start of the 6 nations campaign Lancaster (and his support staff and players) have gained a wealth of experience, they will have a lot to reflect on and there will be things that they will wish to have done differently if given the chance again. This is coaching, whether it be at grassroots or at the very pinnacle of the game. I’m fairly sure though that one of those reflections will not be whether letting the media in was a ‘mistake’. I think this is all part of a bigger plan by Lancaster. Lancaster is a big fan of Bill Walsh’s book ‘The Score Will Take Care of Itself’ in which Walsh recalls a policy of ‘connection and extension’, bonding as a team and a squad of players and reaching out to the fans and public that will support them. In my eyes this is working very well and I think whilst there are suggestions of this broadcast being ill-timed, I think this is just another stepping stone in the direction of extension and building a squad that ‘might’ be able to challenge in 2015 when the world cup arrives again. 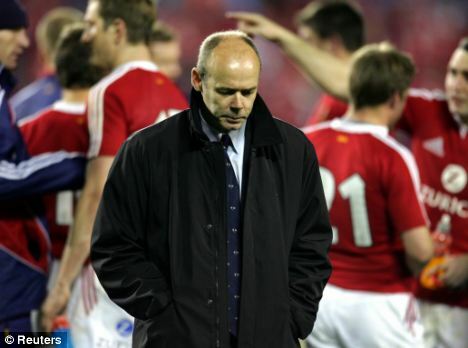 As Sir Clive rightly puts it England were in disarray following the 2011 world cup. It was a mess that needed cleaning up on the inside and the image from the outside needed to be changed dramatically and very quickly. This is something that Lancaster tackled immediately, with limited fuss and brilliant execution, so much so the failures and bad impression of 2011 seems a distant nightmare long forgotten about. I guess my overriding point it that coaching is complex and is never going to be the same from one situation to another and as coaches we have to make the best of what we are presented with and the skills that we have. No coach should ever see themselves as the finished article as for me this is the time to give up (and perhaps this is why some do??). As such we find ourselves as coaches in continuous cycles of learning, always looking for ways to develop. Lancaster and his staff are learning, as are the players, as are the fans. I think it is great that we, as England rugby are growing together and I for one like feeling that I have been allowed to be involved in that and will continue to feel welcome in those developments. England and Lancaster especially, will be judged in 2015 in a WC on home turf. Until then I think we should enjoy the ride as much as we are allowed to.